Who has what degree of voice and choice in our current education system? Independent learning achievement surveys such as the Annual Status of Education Report (ASER) 2014 or Programme for International Student Assessment (PISA) show that learning outcomes are very low in India, especially when compared with global standards. 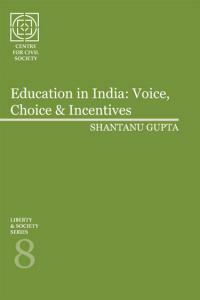 This monograph takes a close look at the system and concludes that it is breathing heavy in a distorted environment where the consumers—the children and parents—have a weak voice and the producers—teachers, governments and schools—have a strong voice, and none of the stakeholders involved in the system seem to have the right incentive to engage with one another.